With 26% of Nigerian households and 86% of operating businesses owning generators, we ask whether Nigeria can shake its generator addition. Each major urban center has a distinct sound. In New York, the air is filled with honking horns. In London, it is the chiming of church bells. In Lagos, Nigeria’s sprawling economic capital, the hum of generators is the ever-present soundtrack to city life. With an installed generation capacity of 12,500 MW, only 45% of Nigeria’s large population has access to power. On average, about 3,500-5,000 MW of power is typically available daily, forcing residents and businesses to take matters into their own hands. Estimates have found that nearly 60m Nigerians own generators, including 26% of households and 86% of operating businesses. Despite a 2015 ban on the import of small generators due to government concerns over rising air pollution, the value of Nigeria’s generator market is estimated to rise from more than $51m today to $450m by 2020. 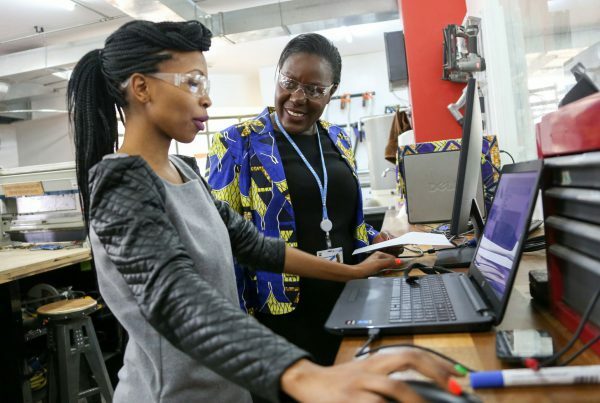 With the country’s population expected to double to 411m by 2050, the challenge of lighting up Africa’s largest economy will grow more acute and pose severe challenges for business and the environment alike. During the 2015 election, electricity was the top priority for Nigerian voters. While Nigerian civil society has been outspoken on the urgency of confronting the country’s high levels of oil pollution, the race to achieve energy access eclipses concerns over the negative impact of air pollution. Poor connectivity to the grid partially explains why air pollution in Nigeria has been poorly addressed by policy-makers and activists alike, despite increasing evidence that human activity is already having severe effects on West Africa’s climate. While New Delhi and Beijing vie for the title of pollution capital of the world, residents in Nigerian cities such as Lagos are also choking from worsening pollution. Nigeria ranks among the top 10 most climate-vulnerable countries. Periodic flooding in the country’s low-lying coastal cities is the most visible effect of climate change, but poor air quality in major urban cities is beginning to attract more attention. If Lagos was a country, it would be Africa’s fifth-largest economy; pollution thus poses a considerable risk to the crown jewel in Nigeria’s path to development. A full 100% of the Nigerian population is exposed to air pollution levels (measured in PM2.5) that exceed World Health Organization guidelines, while air pollution damage costs about 1.5% of gross national income. Similar to other rapidly growing cities in the emerging world, pollution in Lagos is largely the result of millions of vehicles clogging its roads and spewing dark, sulphurous fuels. While high-sulphur fuel and gasoline has been banned in most Western nations, West African countries such Nigeria, Togo, and Ivory Coast have yet to implement a ban. 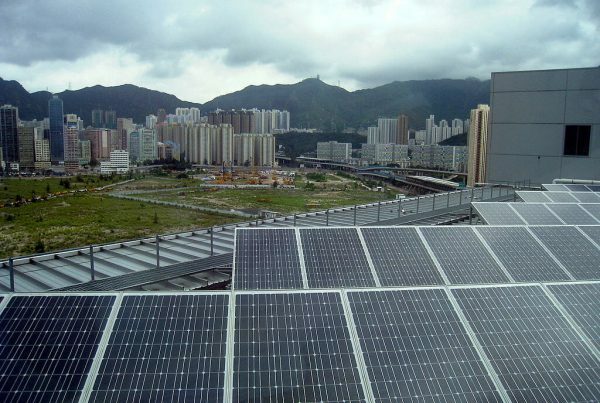 However, Africa’s fastest-growing metropolis is unique among other large global cities in that generators are responsible for a large chunk of the emissions. According to analysis by the Center for Global Development, an individually owned 5 KW diesel generator emits twice as much carbon dioxide per KWh as a coal power plant. Lagos’s ballooning middle class will exacerbate this problem. Already, small generator sets go by the name “I better pass my neighbor”, a cheeky homage to its residents’ notorious hustle to climb to the top. With everyone eager to enter the middle class, the race to fill the gaps left by the existing electricity grid means the hum of generators is here to stay. Lagos’s reliance on generators is a foreshadowing of the challenges other large African cities such as Kinshasa and Luanda face as their populations swell despite underdeveloped infrastructure. With poor power infrastructure, generators are not a backup luxury. They are essential. Companies often have to rely on generators that are 6-10 times more expensive than electricity from the grid. Mobile phone provider MTN, for example, pays $5.5m per month for diesel to fuel 6,000 generators at its base stations. When you add the cost of trucks to supply the fuel, guards to protect the generators, and maintenance work, this amount is likely far higher. For entrepreneurs hoping to start a business, the costs of these private solutions to public problems can discourage investment and interfere with competitiveness. The World Bank’s ‘Ease of Doing Business’ report ranks Nigeria 169th out of 190 countries. While the country ranks relatively high on protection of investors and access to credit, its scores on property registration and electricity access remain abysmal. Almost 80% of companies identify electricity as a major constraint to growth in Nigeria, far above sub-Saharan Africa’s average of 50%. Continued reliance on generators for power supply contributes to the extraordinarily high cost of doing business in Nigeria. In recent years, the Nigerian government has embarked on programs designed to close the energy deficit following the privatization of the power sector in 2013. These projects include gas-fired electricity plants drawing from the country’s large natural gas reserves, hydropower plants, and solar photovoltaics (PV) projects in varying stages of development. Nevertheless, most Nigerian households and businesses will not have access to the grid anytime soon. Grid connections across Africa are expensive, costing anywhere from $400 to $1,200, in addition to the costs of wiring a home and the regular consumption bills. With Nigeria’s government coffers drying up due to a cash-strapped oil industry and an economy recovering from recession, off-grid solar solutions are quickly becoming a more appealing option for meeting energy demands thanks to a dramatic drop in PV module pricing. The Nigerian Economic Summit Group found that solar PV systems are already cost competitive in Nigeria on a lifetime basis, costing an average of $0.20 per KWh (including storage costs) in comparison to diesel generators, which cost an average of $0.30 per KWh. If solar prices continue to fall, utility-scale solar may soon become cost-competitive with the grid. East Africa has long been a frontrunner in off-grid solar solutions through companies such as M-Kopa and Mobisol’s rapid regional expansion. But investment in the Nigerian off-grid market is expanding, as seen by investments in firms such as Lumos, which raised $90m last December. 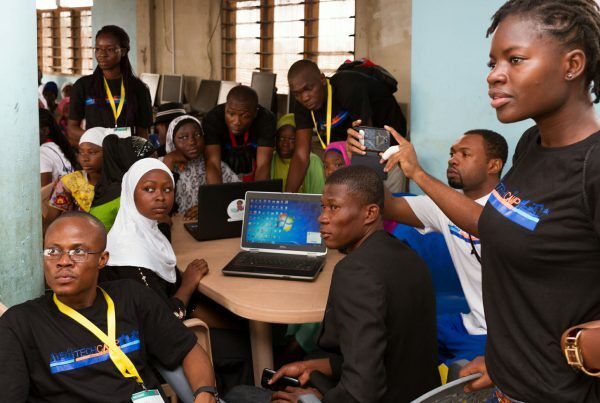 Nigeria is emerging as a pioneer in other ways: Startups such as Rensource are tackling urban/peri-urban energy poverty by pioneering power as a service to consumers and small and medium-sized enterprises, while more-established firms including Royal Power and Energy are working on solar solutions on a commercial and industrial scale. If the Nigerian generator market continues to grow in the absence of connections to the grid or off-grid solutions, Africa’s largest economy will become one of its biggest liabilities in the fight against climate change. The private sector has paved the way for Nigeria’s renewable market, but sustainable energy self-sufficiency requires government support for policies ranging from the removal of import duties for renewable energy technology to preferential loan opportunities for renewable projects. While residents confront the frustrations of erratic power each day, the country’s poor energy infrastructure is an opportunity in disguise. Nigeria could become the world’s most populous green country, but it will require a mix of technology and strong policy incentives. Akinyi Ochieng is a writer, policy analyst, and graduate of the London School of Economics.